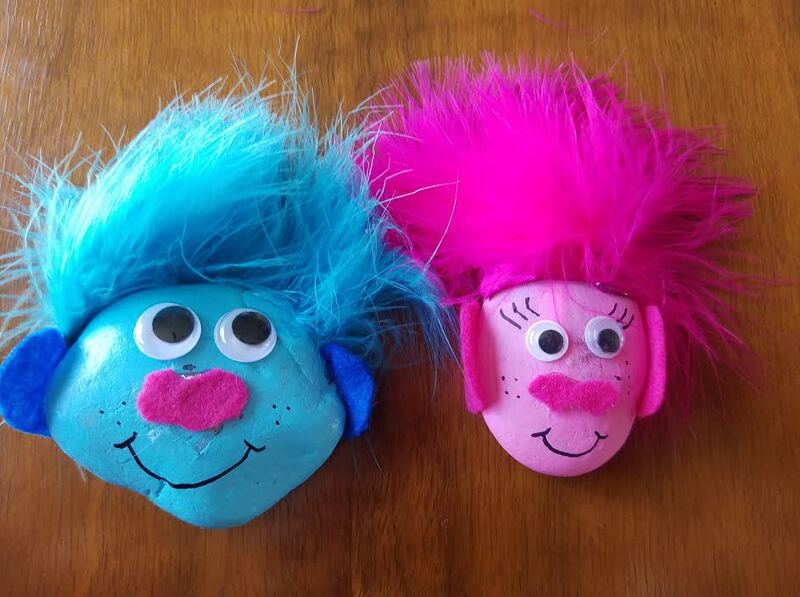 Trolls are bright colored and so cute. 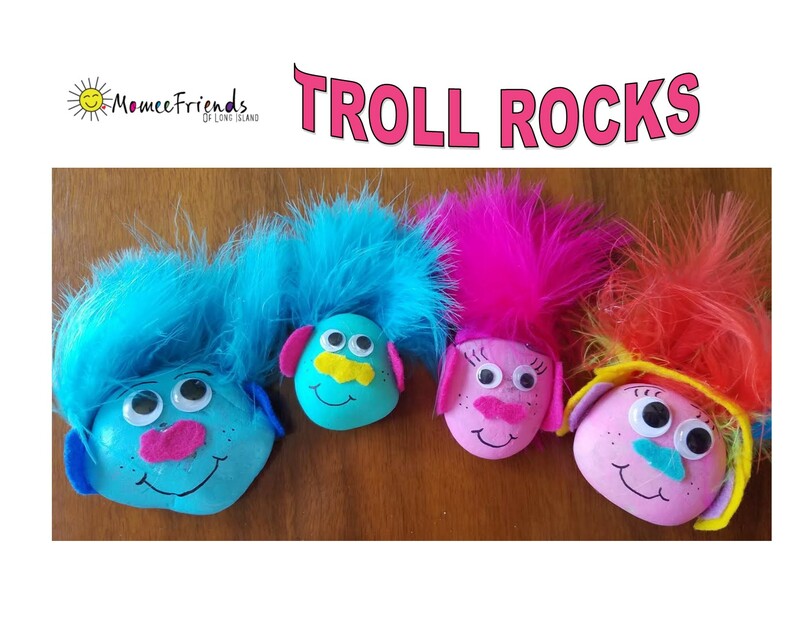 My family loves to watch the Trolls movie and we also love to craft so when I saw this Pinterest Pin on making your own Troll Rocks, we had to do it. My kids are always collecting rocks and we love to paint them. 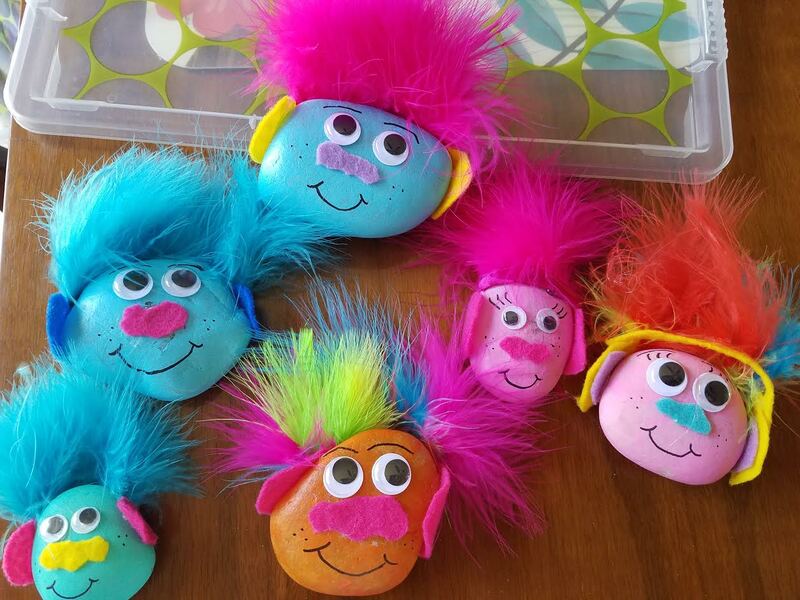 I had some nice size rocks to make these adorable Troll Rocks that the kids love to play with. 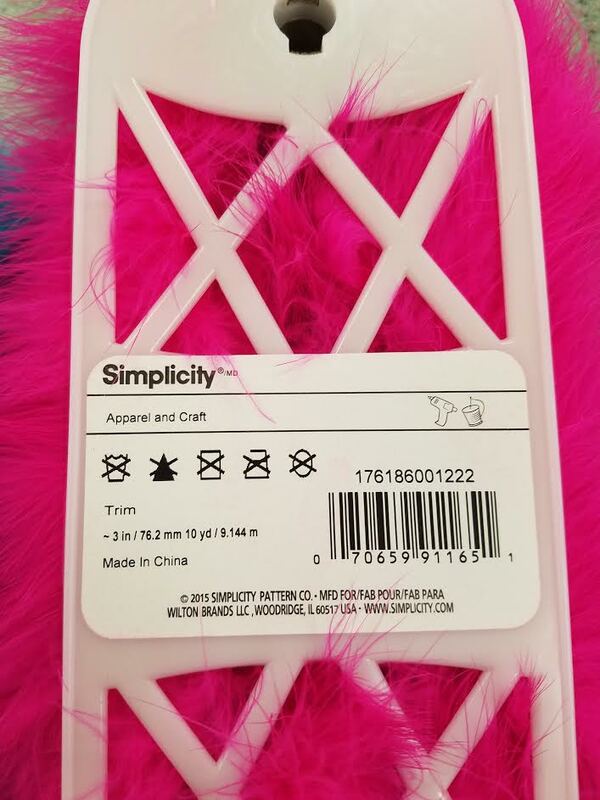 *Cut your felt to look like a Troll nose and ears. *Once your rocks are dry, have an adult hot glue the pieces onto the rock. 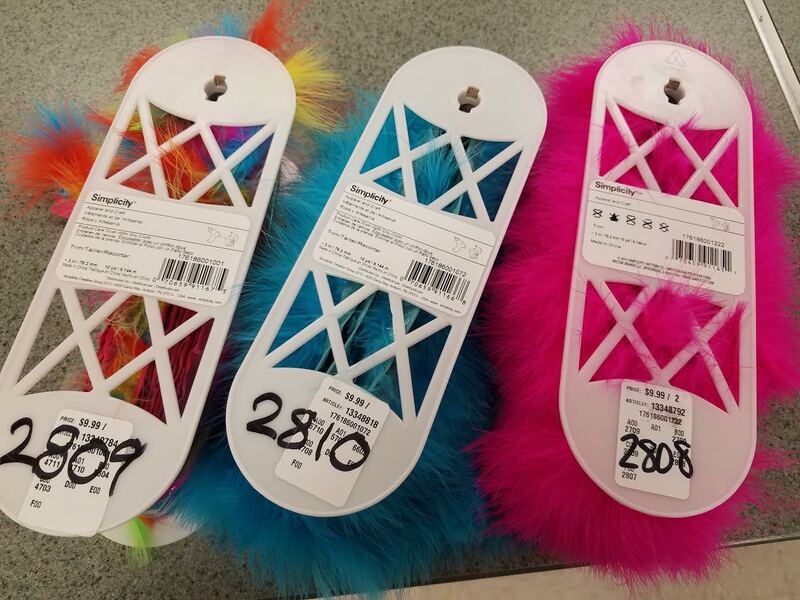 Cut a piece of feather trim onto the top of the rock for their hair. *Then glue the eyes, nose and ears to the rock, too. It is that simple and fun! 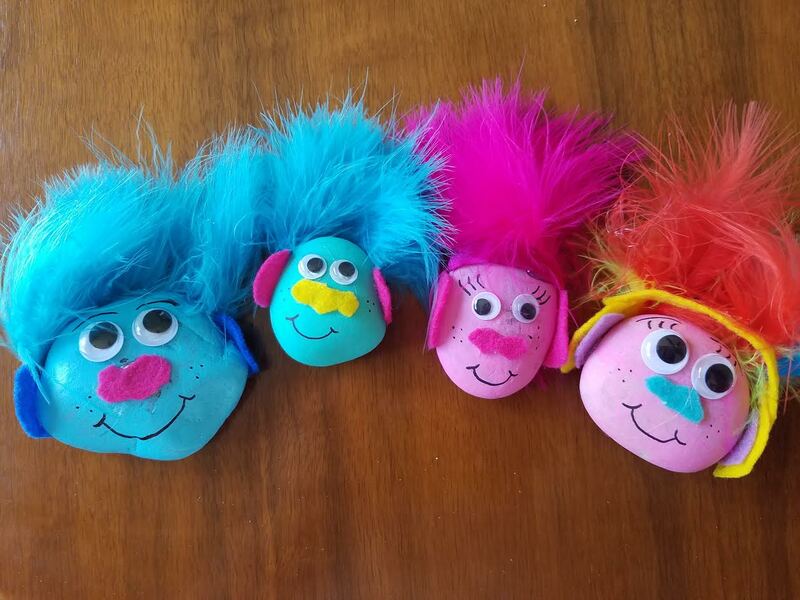 These are great for kids to do story telling with or to give out as a party favor at a Trolls theme birthday party.